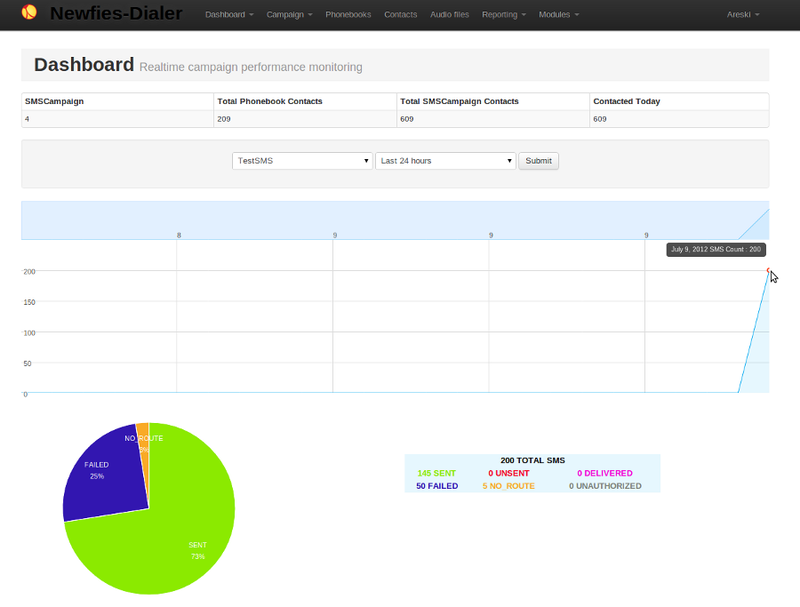 We have reduced the price of the SMS module for Newfies-Dialer to €1000 Euro. The SMS module works in a similar way to a voice campaign, and allows you to send out many thousands of SMS messages to your contacts, bringing SMS broadcasting functions to Newfies-Dialer along with voice broadcasting. SMS broadcasting is popular for sending marketing messages as well as for mass notifications, such as for reverse emergency SMS broadcasts and community updates, e.g. school closures.